What’s the latest from ‘GCP TV’? Plenty! With a world-favourite – rice – featuring high and hot on the menu. Our brand-new series on YouTube serves up a healthy seven-course video feast inviting our viewers to sink their teeth into rice research at GCP. 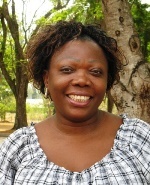 First, we settle down for a tête-a-tête in the rice research kitchen with chef extraordinaire, Marie-Noëlle Ndjiondjop, Principal Investigator (PI) of GCP’s Rice Research Initiative in Africa, and Senior Molecular Scientist at Africa Rice Center. Target countries are Burkina Faso, Mali and Nigeria. Marie-Noëlle opens the feast with a short but succulent starter, as she explains succinctly in 30 seconds just how rice is becoming a staple in Africa. In the second course, Marie-Noëlle chews over the questions concerning combatting constraints and boosting capacity in rice research in Africa. The third course is pleasing to the eye, the palate and the pocket! Marie-Noëlle truly sells us the benefits of molecular breeding, as she extolls the virtues of the “beauty of the marker”. Why should you use molecular tools? They’ll save you time and money! 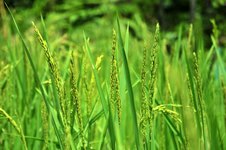 Wherefore art thou, capacity building in rice research in Africa? The Shakespearean language alludes to the why of capacity building in Africa, as does video episode number four, which also tackles the what of this fourth dish in our banquet. Course number five offers the viewer a light look at how capacity building in Africa is carried out. In the 6th course, Marie-Noëlle takes us out of this world and into MARS: she teaches us that ‘two are better than three’, as she explains how the novel bi-parental marker-assisted recurrent selection (MARS) method is proving effective when it comes to duelling with drought, the tricky three-headed monster comprising physiological, genetic and environmental components. The 7th and final course offers us a riveting tale of heroes and villains, that is, many heroes and a single villain! Our rice raconteuse, Marie-Noëlle, praises the power of the team, as a crew from cross-continental countries come together, carefully characterise their combatant (drought), before striking with environment-specific drought-tolerant varieties! AfricaRice’s project partners are Burkina Faso’s Institut de l’environnement et de recherches agricoles (INERA); Mali’s Institut d’économie rurale (IER); and Nigeria’s National Cereals Research Institute (NCRI). Collaborators are France’s Centre de coopération internationale en recherche agronomique (CIRAD); the International Center for Tropical Agriculture (CIAT); and the International Rice Research Institute (IRRI). We hope these tasty teasers are enough to whet your appetite – you can savour each of the courses individually à la carte, or, for those with a daring desire to try the ‘all you can eat’ buffet for true rice gourmets, all seven courses are presented as a single serving on our YouTube channel. To further please your palate with our rice bowl of delights, our next stop is Asia. 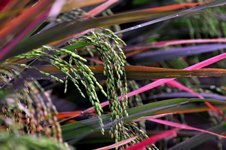 We are pleased to offer you the Asian flavour through a peek into the world of molecular rice breeding in the Mekong region. Our connection to this project is through a GCP-funded capacity-building project entitled A Community of Practice for strengthening rice breeding programmes by using genotyping building strategy and improving phenotyping capacity for biotic and abiotic stresses in the Mekong region led by PI Jonaliza Lanceras-Siangliw, of the National Center for Genetic Engineering and Biotechnology (BIOTEC), Thailand (see project poster, and slides on a related drought-tolerance project led by Boonrat Jongdee). BIOTEC’s partners in the Mekong rice breeding CoP are the Cambodian Agricultural Research and Development Institute (CARDI); LAO PDR’s National Agricultural and Forestry Research Institute (NAFRI); Myanmar’s Department of Agricultural Research (DAR); and Thailand’s Kasetsart University and Ubon Ratchathani University). 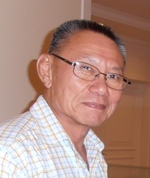 The video also features former GCP PI, Theerayut Toojinda (BIOTEC) whose project was similarly entitled The ‘Community of Practices’ concept applied to rice production in the Mekong region: Quick conversion of popular rice varieties with emphasis on drought, salinity and grain quality improvement. 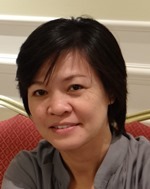 If all of this talk of eating has been a little overwhelming, we also offer you the perfect digestif: a ‘golden oldie’ in terms of GCP video history showing a 2012 BBC interview with former GCP PI, Sigrid Heuer, then at the International Rice Research Institute (IRRI), who explains how her project isolated the rice root-enhancing gene PSTOL1. Bon appétit! 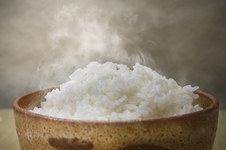 Check out our one-stop Rice InfoCentre for all things rice and nice, that we have online!